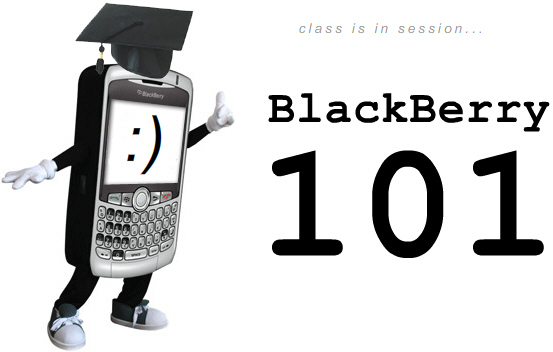 Welcome to BlackBerry 101! I meet a lot of new BlackBerry users each week - many in person (I tend to talk to anyone I see carrying a BlackBerry) and many more electronically via emails and forums. I've always said the BlackBerry is an incredibly efficient and intuitive device, but it only becomes incredibly intuitive and efficient once you learn a few basics with the device - how the BlackBerry button brings up menu options pretty much wherever you are, where different settings are located, etc.. I think a lot of new BlackBerry users tend to skip "learning the device" and just begin using it immediately, which for the most part works pretty well. But sometimes this skipping a step leads to not being able to figure out how to accomplish some fairly basic tasks. How do I turn off the always-blinking green LED Light? How do I find my BlackBerry Pin? How do I dial phone numbers that contain text? They're all easy (once you know how) and all answered in detail after the jump! The LED Coverage Indicator will be set to "On"
Blinking RED: The LED indicator blinks red whenever you have incoming/waiting communication messages on your phone - new email, new call/missed call, new BlackBerry Messenger message, new SMS, etc. It is basically impossible to ignore the blinking red light - you'll find yourself having to reach for your BlackBerry no matter what. Welcome to BlackBerry Addiction. As Martha Stewart would say, It's a Good Thing. Blinking GREEN: Coverage Indicator light. This lets you know you are connected to a network. It's annoying as all heck and you will want to turn it OFF before it drives you mad (if turned on, it never stops blinking!). Blinking BLUE:Lets you know your phone is connected to a Bluetooth device, such as a Bluetooth headset. Blinking YELLOW: Plug it in! A blinking yellow light means it is time to charge your BlackBerry as you are running low on juice. If people don't know this tip and you show it to them for the first time they will be really impressed (seen it dozens of times), so spread the word! EVERY BlackBerry User should be aware of this. 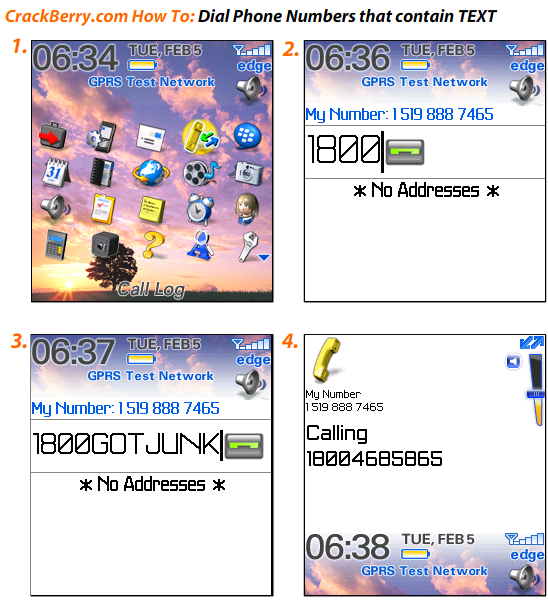 You need your BlackBerry PIN for lots of things - sending PIN messages to other BlackBerry owners, using BlackBerry Messenger (click link for How to Use it), and when purchasing software, for example from the ShopCrackBerry.com Software store, the device PIN is often required for generating software activation codes. See you next week class! In the meantime, if you have any BlackBerry Related questions that need answering, be sure to search them out in our CrackBerry Forums. Can't find your answer? Post a Question. 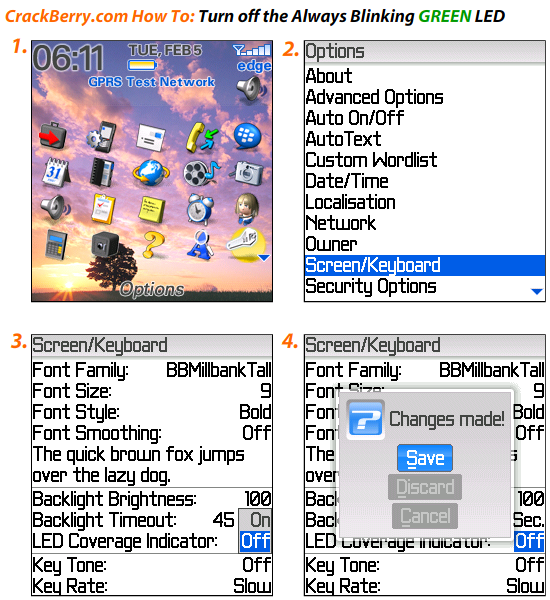 If you're not familiar on how to use forums, check out this CrackBerry.com How To!